This week’s Blog is a bit more of a Blog-Share. Last week while scrolling through my Facebook newsfeed, I happened upon an article about ballet. 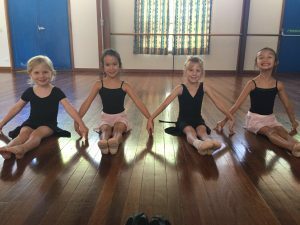 While the title “The Effects of Ballet Classes Schools Don’t Tell You” is slightly misleading, the content of the article is spot on and once again reminded me just how important my job is and the lasting impact it can have on the future generations. Dance is so much more than just a frivolous activity. Yes each year we work towards that one exciting performance where it’s acceptable, and even encouraged, to wear sequins, but throughout the year there is so much more taught in each dance class which you don’t necessarily see in that one performance. Discipline, dedication, persistence, resilience, pride in one’s appearance… There are so many valuable lessons being taught every single time a dancer walks through the studio doors, all of which can, and will, be applied to all facets of their life.